Here’s a bone – good dog! 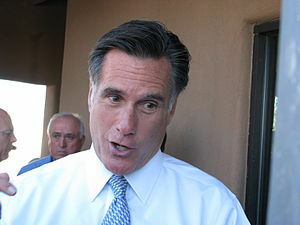 Romney’s reaction perplexes me. For five years, Romney has defended his decision. Tellingly, the title of his most recent book is “No Apology.” I won’t demand an apology from Mitt. I don’t believe in forcing people to give half-hearted mea culpas. It’s insincere and sets a bad precedent. And Seamus wouldn’t have understood anyway. via House of Burgess: The continuing saga of Seamus Romney » Kokomo Tribune; Kokomo, Indiana.